I'll list any applications here that are designed to optimize or otherwise manage, not just your Android device, but also to use your device in that capacity to also manage other computers and devices. This functionality is built into newer versions of Android, but it's a bit annoying to get to within the system menus. It's also not very attractive. This app not only has a better interface, but it's more useful. It displays the apps in columns and gives you access to more features, such as an ignore list and the ability to clear the application cache. Yes, even Android devices are susceptible to malicious code. 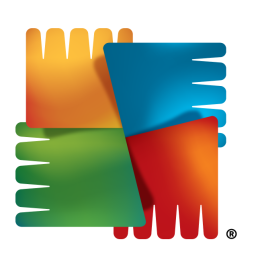 So, protect your investment and privacy with AVG's free Anti-Virus. I don't like the standard battery icon in the status bar. I prefer to know percentages and expected length of time the battery will last, if possible. This is the simplest app to provide that information for you, without having to use a widget. This utility graphically displays the size of all files on your device and attached storage (SD cards), which helps you find out what has eaten all of your space. I've tried all of the major Android Launcher software to replace the native applications and I prefer this one. You can resize apps and widgets with it. You can't do that with any of the others It also feature app drawer organization through folder management and several other features that make it very useful. It also features themes and widgets of it's own. There are a lot of "improved" keyboards available for Android devices. One of the most revolutionary trends sweeping the Market is "swipe" style typing. I'm not a huge fan of that concept, just yet. It is very effective, but I don't want to reteach myself how to type again, which is what's required to learn "swipe". Instead, I just wanted a slightly better keyboard than what was built into my phone. As such, I installed this app, which allows me to add the number row above the standard QWERTY keyboard. That feature alone was the number one selling point for me. This app lets you switch between home screen launchers. So, if your GO Launcher EX crashes, for example, you could easily switch back to the native launcher on your device.